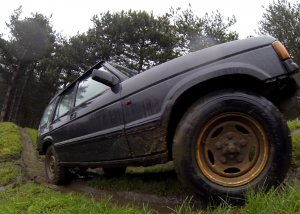 Learn and improve fast with this full-day 4x4 driving experience. 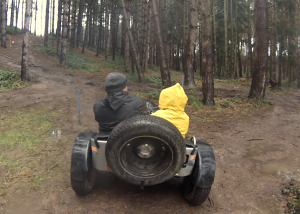 With a qualified BORDA instructor on hand you will be tackling steep inclines and muddy verges in no time! Off Road driving is sure to challenge even the most experienced drivers, so this full-day Discover 4x4 experience will certainly push your driving ability to the limits! You will have full control as you navigate your way around, over and through the many obstacles that await you around every corner. 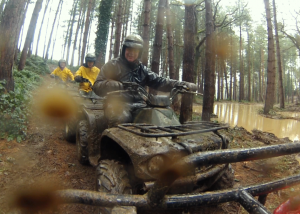 You will learn the skills and techniques required to complete the course which even seasoned off -roaders would find a challenge! Upon arrival, your private full-day experience will begin with a safety briefing and an introduction to 4x4 driving. Your qualified instructor will cover the basics techniques required to tackle the off road course before covering the 4x4 vehicle you are about to drive. Now to begin driving! 4x4 is the exhilaration of challenge, the unbridled enjoyment of mastering and fully experiencing the real capabilities of a 4 x 4 vehicle in an environment that will challenge even the most experienced drivers amongst you. This experience allows you to improve quickly as you will receive one-to-one tuition and a full-day to practice your new skills! This 4x4 driving experience is generally available on tow or three Saturdays per month, throughout the year. Total time driving approximately 6 hours. Participants: The Discover 4x4 - Exclusive Full Day is for 1 participant. Please Note: This experience is exclusive. Spectators are welcome - however viewing may be limited for certain activities. The centre will provide all safety equipment needed, but please wear comfortable casual clothing and trainers that you don’t mind getting dirty. Could not have had a better day. excellent setup, well thought through, professional & experienced & friendly trainer. Loved it ! Is lunch included with the full day 4x4 experience? No, you are advised to bring your own food which you can eat in the club house or in the grounds. How many vehicles do you drive throughout the day? Participants drive one vehicle, a Land Rover Discovery, for the duration of the day.